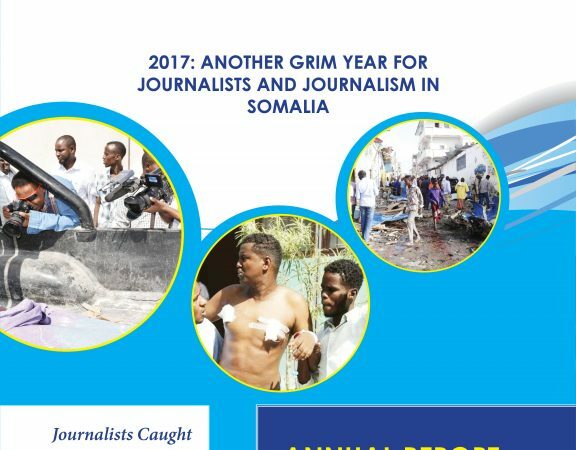 2018 has been another year where journalists in Somalia have been affected by threats, intimidations, arrests, judicial persecutions, torture and killings. 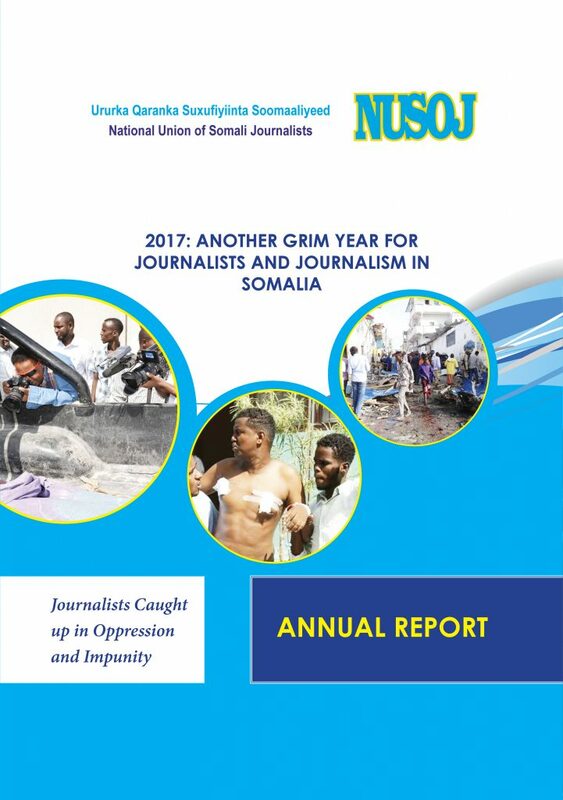 Numerous reports compiled by the National Union of Somali Journalists (NUSOJ) have painted a bleak picture of attacks against media freedom and the muzzling of journalists and independent news media. “There is ample evidence during 12 months of grim facts detailing the various attacks against journalists and media houses, which made it near-impossible for journalists to do their job of speaking truth to power without fear of punishment and censorship. Some news media organisations have opted to assure their financial survival rather than truly provide impartial news and information to the public,” said Omar Faruk Osman, NUSOJ Secretary General. Violence against journalists has claimed the lives of three reporters in the second half of the year. All the three victims were male broadcast journalists murdered in Mogadishu and Galkayo – two cities that stand out as the deadliest for journalists in Somalia since 2012 where the first two killings took place. 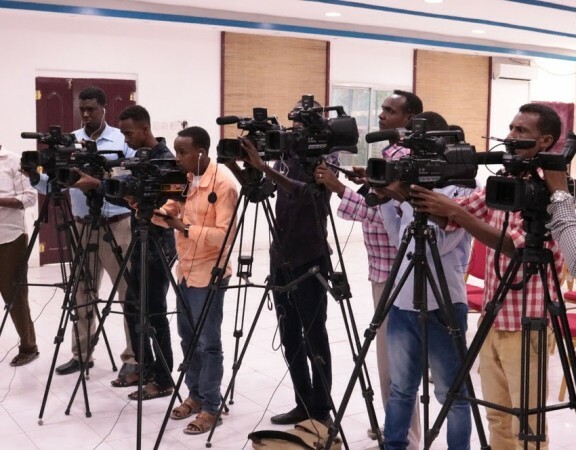 Three media staffers were also killed in Mogadishu, making total number of media people killed in Somalia in 2018 to six (3 journalists + 3 staffers). The suspected killers are believed to be members of Al-Shabaab and Somali security force, but no one was ever held to account. Three other male journalists in Mogadishu and Bossasso narrowly escaped targeted attacks which were believed to be motivated by retaliation to their work. None of the suspected assailants were arrested let alone prosecuted. Worse still, the concerned authorities in Mogadishu and Bossasso put pressure on media houses and journalists to conceal that such dangerous attacks did ever take place. 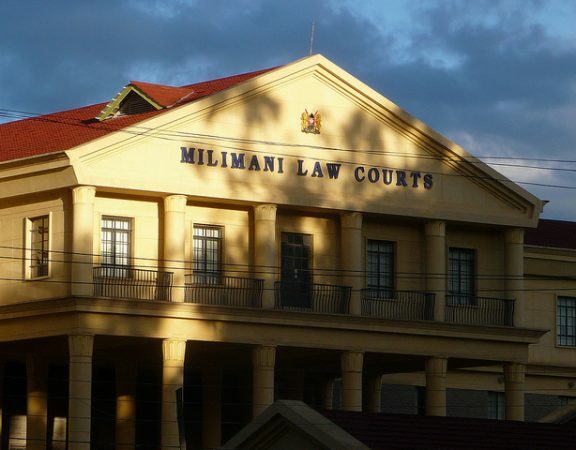 Throwing a journalist in jail and keeping him or her for days without charges or a fair trial has become the preferred method used by several authorities to intimidate media professionals. 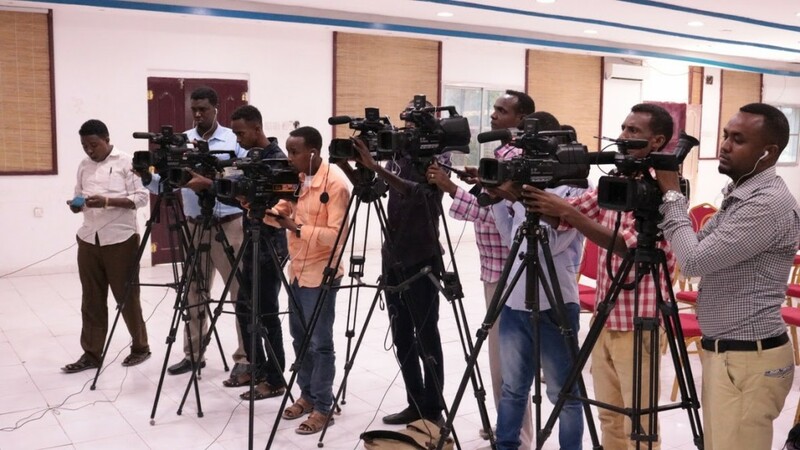 16 journalists were unjustly arrested due to their journalistic work in Las Anod, Borame, Dhusamareb, Hargeisa, Baidoa, Kismayo, Galkayo Jowhar and Buroa, making Mogadishu the only major city where no journalist has been arrested for doing his/her journalistic work in the year. 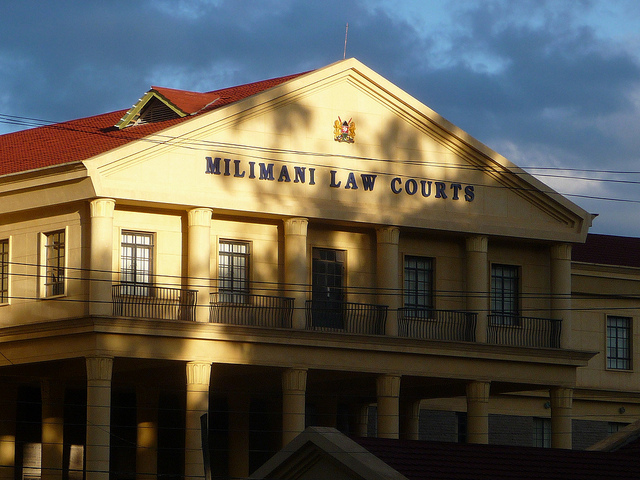 Courts in Somaliland tried journalists on tenuous charges and found them guilty without due process or fair trial. Galmudug tried a radio journalist before a military court, sentencing the reporter to 6-months in jail. Journalists persecuted by Somaliland were sentenced to jail terms of between 6 months and 2 years whereby Somaliland courts clearly emerged as the weapon of choice to prosecute and jail journalists using the flimsiest of evidence. At the height of the conflict between Somaliland and Puntland in Tukaraq town in northern Sool region, the Somaliland Ministry of Information issued orders to withdraw operating licences for SOM News TV and SBS TV, prohibiting the two stations and their journalists to operate in Somaliland territory. In retaliation, the Puntland government banned Somaliland National TV (SLNTV) from its territory by ordering TV service providers to take it out from their list of channels they broadcast in the Puntland regions. Faced with increasing financial difficulties, news media organisations in Mogadishu started doing deals with political and corporate forces. This included tweaking the news and carrying paid-for material camouflaged as news in exchange of payments and appointments of media owners to lucrative public office assignments. This increased culture of dependency on political and corporate elements is making increasingly difficult to separate journalism from propaganda and public relations, putting independent journalism on sale. Editors are regularly induced to censor stories, not only in mainstream media houses, but also in social media accounts of some of their journalists. Throughout last year the revised media law was kept on the agenda of the lower house of the federal parliament after its first reading. It still contains repressive articles and clauses that curb media freedom and suppress journalists’ basic rights, including the imposition of government-controlled regulatory body. If passed, it would make the environment for media freedom and freedom of expression even more repressive, setting back Somalia’s transition to democracy.